Not Your Mother's Muumuu Dress. Yup, we're bringing it back! This is our modern take on the Muumuu Dress, hand dyed in watery purples, turquoise and pinks. Belt it or wear it loose and free with your favorite chunky necklace. A bohemian look that is sure to get noticed. Lower calf length, loose & flowing. 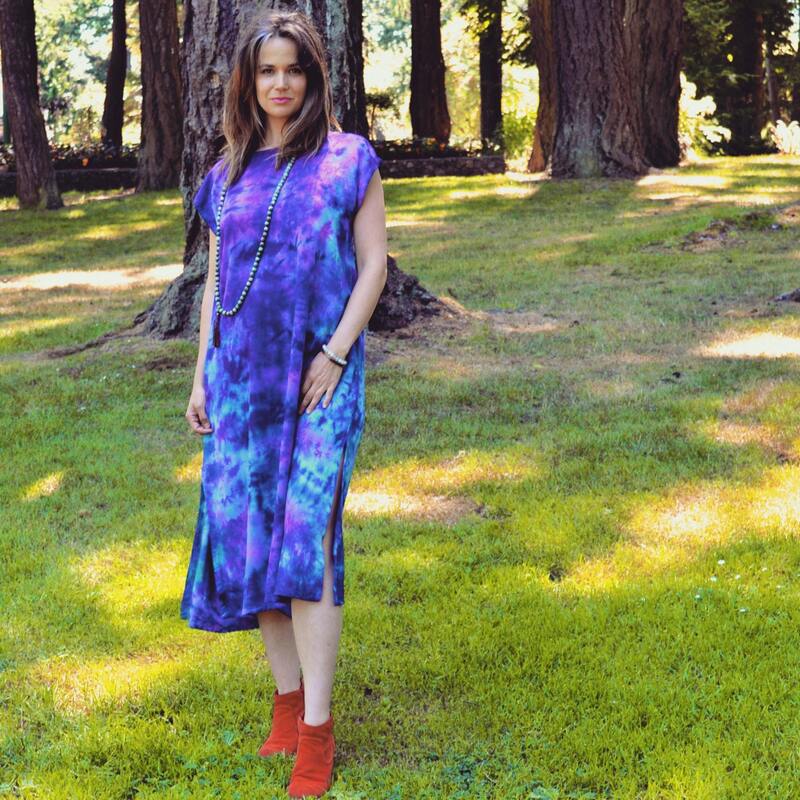 This Muumuu dress is so easy to wear! Fits a wide range of body types. Side slits come to about knee height (nice for summer weather) which make for easy movement while wearing it. 100% Rayon. I ordered this 12/23 but have not received it yet. I understand this was over a holiday but your shop was open and had no message re any shipping delays. I don't understand what is taking so long.